Okay he’s 16 and looks 12…somebody call the zookeeper as someone’s ego has run amok through the city and is trampling people. 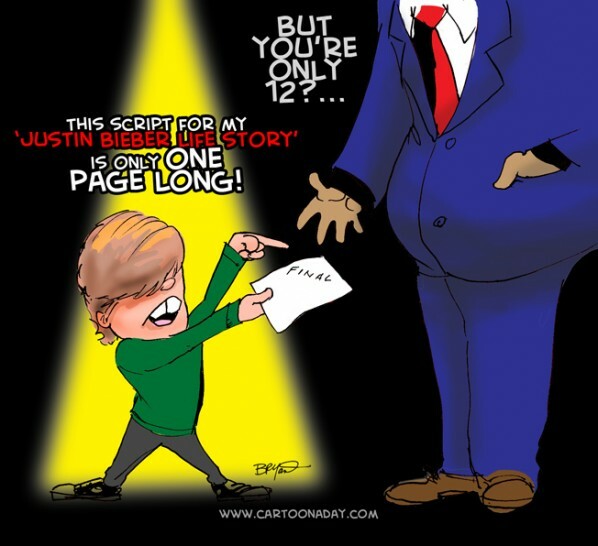 I don’t know who’s idea it was to make a ‘Life Story’ Movie on the kid, but I doubt it was Bieber’s. And this movie nonsense is only a money-making ploy targeted at little girls. Well, if you fall for it, shame on you.